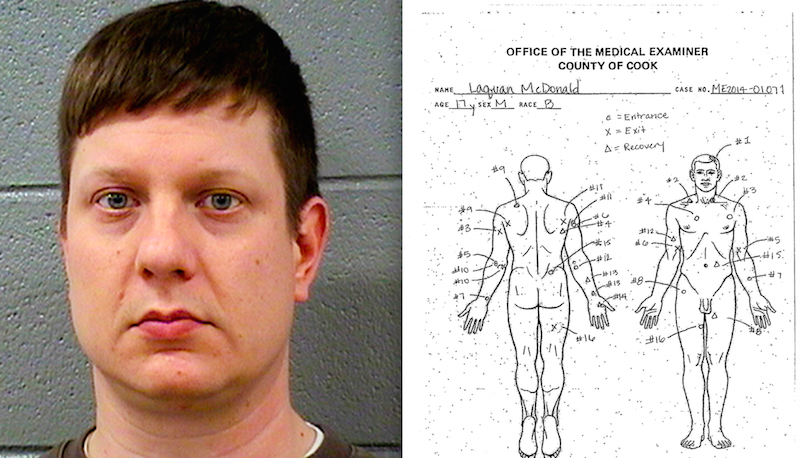 On Tuesday, Van Dyke was indicted on first-degree murder charges in connection with the sixteen shots he fired into 17-year-old Laquan McDonald while responding to an Oct. 20, 2014 report of an armed man in the Burger King parking lot. The fatal incident was caught on Van Dyke’s dashcam, which became the subject of a protracted legal battle between the media and the police, who argued its release would “hamper ongoing investigations.” Last week a judge finally ordered the video—described by one witness as “an execution”—be released by Nov. 25. But there may have been other footage the public will never see: According to a Burger King district manager, almost an hour-and-a-half of pertinent surveillance recording disappeared the night of the shooting. The next day, when an investigator from the Independent Police Review Authority asked to view the security footage, it was discovered that the 86 minutes of video was missing. Darshane tells NBC the cameras and video recorder were “on and working properly” the night of the shooting. The dashcam footage is expected to be released sometime on Wednesday.